The farm bill is a large, multifaceted piece of legislation, renewed by Congress roughly every five years, that shapes federal food and agricultural policy. The first version of the farm bill passed in 1933, during the Great Depression, and was mostly concerned with helping farmers stay in business when crop prices plummeted. But since then the bill has grown far more complex and comprehensive, with sections addressing everything from international trade in farm products to the nutritional quality of school lunches to the management of our national forests. Congress passed a new version of the farm bill in December 2018. While far from perfect, the bill includes important wins on issues that UCS fought for, including SNAP funding. It will now be up to Congress to hold the USDA accountable for implementing these policies effectively. From farm to fork, our food system should be something we are proud of, one that supports farmers, makes healthy food available for everyone, and protects the environment we all depend upon. The farm bill may sound like something only a policy wonk would care about. But with $956 billion in investments, it affects all parts of our food system and touches all of our lives, every day. Who farmers are, what they grow, how they grow it, who can afford it—the farm bill shapes the answers to these questions and more, with huge implications for our health, our economy, social justice, and the environment. When you walk through a supermarket or sit down at a restaurant, the Farm Bill affects what food is available and how much it costs. Incentives favor a few commodity crops, such as corn and soybeans, which mostly end up as processed food ingredients, livestock feed, and biofuels. The bill could do much more to ensure that healthy foods like fresh fruits and vegetables are affordable and accessible to all. If you’re elderly, disabled, working for minimum wage, or temporarily out of work, the Farm Bill may be the reason why you can put food on your family’s table at the end of the month. The Supplemental Nutrition Assistance Program (SNAP), which is part of the Farm Bill, provides a crucial nutritional safety net that lifts millions of Americans out of poverty each year. It should be strengthened, but instead, it’s at risk of cuts. 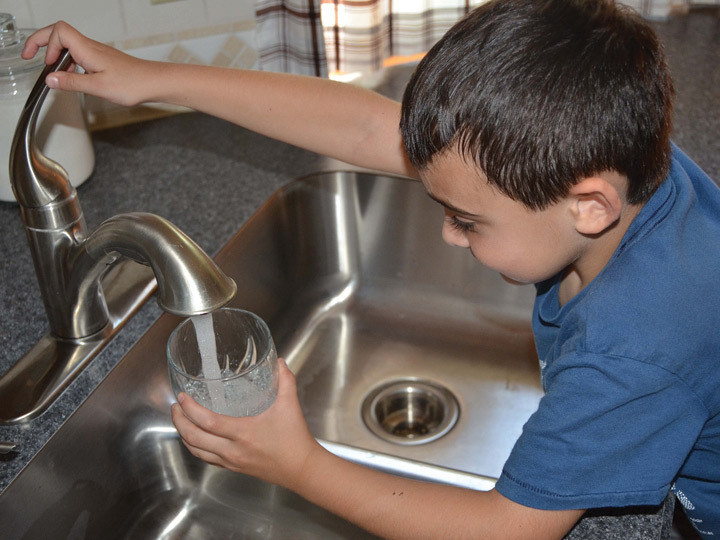 For residents of many US cities, the Farm Bill affects how much pollution ends up in your drinking water—and how much your city must pay to make it safe. Practices that reduce fertilizer runoff from farms, such as cover crops and prairie strips, pay dividends in cleaner water downstream. The Farm Bill includes programs that can help farmers adopt these practices, but they are small and don’t reach the majority of farmers. If you’re a farmer who wants to adopt innovative new growing practices, protect pollinators, or produce a more diverse set of crops, the Farm Bill can determine whether that shift will make economic sense for you—and whether you’ll have access to the information you need to make the transition work. By expanding conservation programs, agroecological research and outreach, and access to crop insurance, we can help sustainable agriculture succeed. 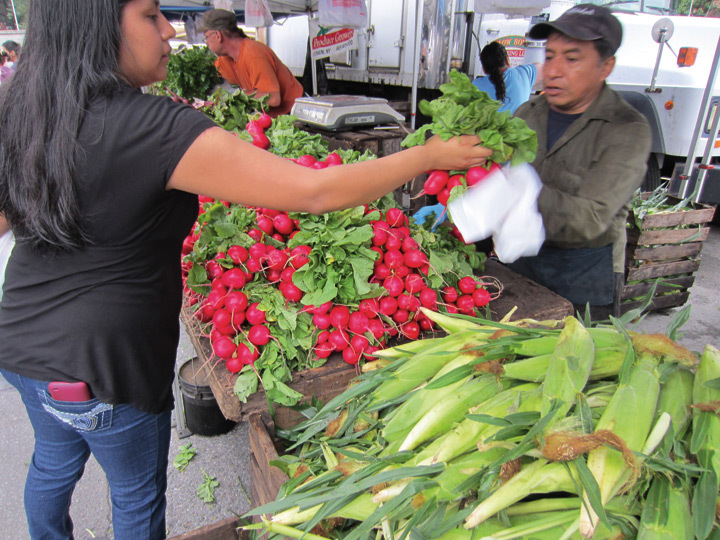 If you’re a single mom who’d like to buy fresh, local produce at the farmers market but the cost seems out of reach, the Farm Bill can help make local food more affordable and expand the customer base for local farmers at the same time—a win-win for farmers, consumers, local economies, and public health. If you’re a veteran, a young person, or a person of color who’d like to start a career as a farmer, the Farm Bill can help you get your business off the ground, funding programs that offer resources and support to beginning and underserved farmers. Each version of the farm bill presents both opportunities and threats for food system reform. Here are some of the issues we've focused on in our recent farm bill advocacy. We've pushed for farm bill provisions that would expand markets for local farmers and make healthy food more affordable and accessible. 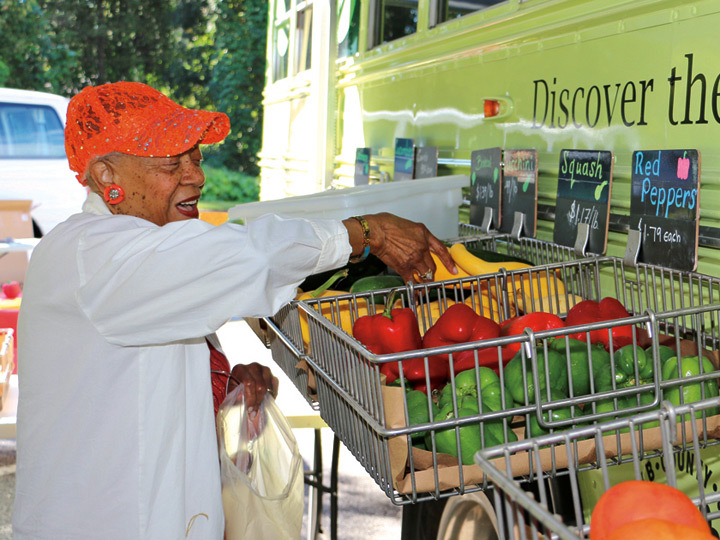 New investments to connect farmers with consumers and with institutions like schools will help families across the nation—including seniors, veterans, and those in low-income communities—to put fresh, healthy food on their tables. The Supplemental Nutrition Assistance Program (SNAP), sometimes called food stamps, is a perennial target in the farm bill process. The largest budget item in the farm bill, SNAP plays a critical part in the food system, serving as a safeguard that protects families from the consequences of poverty and hunger in hard times. There is overwhelming evidence that SNAP works. In 2014, the program lifted an estimated 4.7 million people out of poverty, including 2.1 million children. It’s a smart investment in the nation’s health and well-being. SNAP dollars also help to stimulate the economy during periods of recession, in both rural and urban areas, with every five dollars in new SNAP benefits generating as much as nine dollars in economic activity. And following economic recovery, the number of people who use SNAP drops as people get back on their feet. Despite these benefits for participants and the nation, some in Congress have pushed changes to SNAP, such as stricter work requirements or mandatory drug testing, that would reduce the program’s effectiveness without providing any substantial benefit. 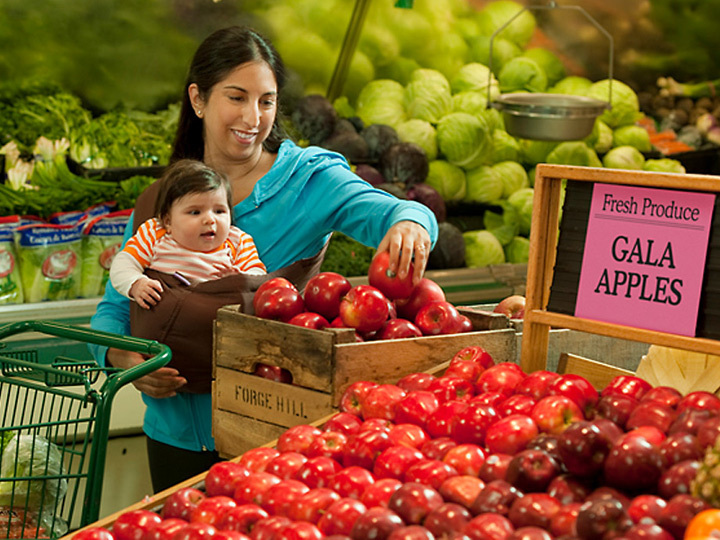 We support making SNAP stronger by increasing benefits, continuing to support cost-effective nutrition education programs, and allowing a broader range of food retailers to participate in the program. We support increasing public investment in agricultural research—especially for transformative agroecological research, which according to a 2015 UCS study constitutes a tiny percentage of USDA’s research budget. Such research is vital for making US agriculture more sustainable and resilient, and hundreds of scientists have signed a petition seeking more federal support for it. The farm bill includes several programs that encourage good stewardship of farmland by helping farmers adopt practices that reduce soil damage, fertilizer runoff, and other undesirable impacts. We've advocated for strengthening these programs. 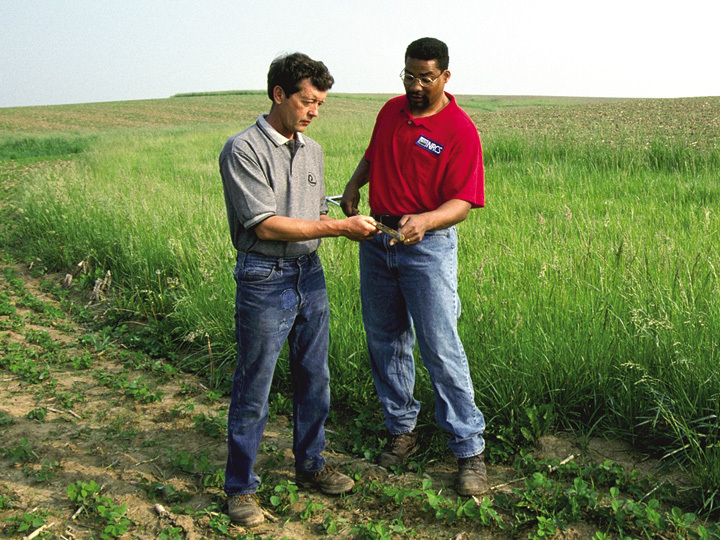 In recent years, UCS has documented the importance of healthy soils for farmers and their communities, as well as the negative (and costly) environmental consequences of the federal crop insurance program. We support crop insurance reforms that maintain a safety net while increasing incentives for soil-building practices that boost farmers’ resilience and save taxpayers money in the long run. The future success of an equitable food and farm system depends entirely on the success of the next generation of farmers. A recent survey of young farmers showed they are more diverse and more likely to grow healthy foods and practice sustainable methods, but also more in debt, relative to all US farmers. 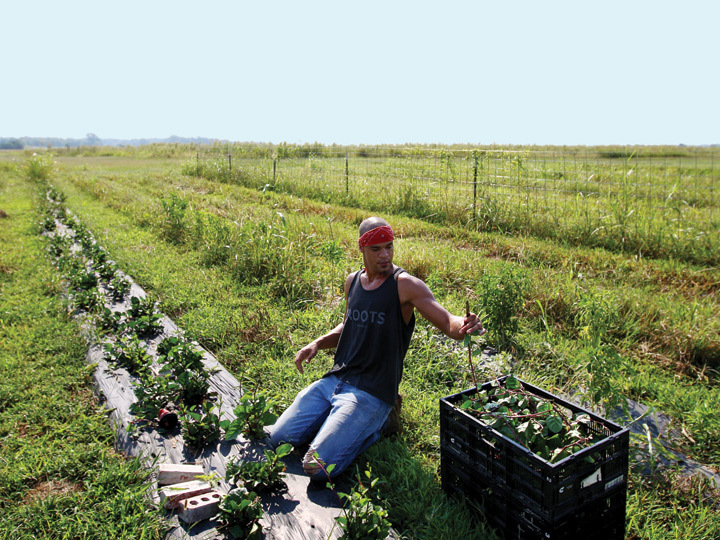 That’s why UCS has advocated for critical programs that provide loans and technical assistance to new farmers and those from historically underserved and socially disadvantaged communities. You may be wondering what farmers think about the farm bill. So were we—so we commissioned a poll of farmers in seven states. The verdict was loud and clear: farmers are eager to move their operations in a healthier, more sustainable direction. And they want federal policy to make that transformation easier, not harder.